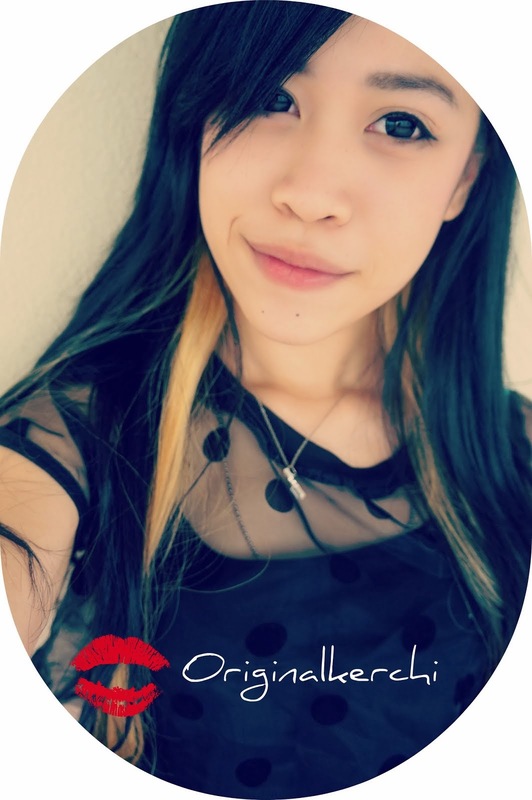 original.kerchi: Loving my Skin with ♥ Cosmoderm ♥ & GIVEAWAY! Good Morning, everyone ! Time seems to be moving so fast.. It's already September ! Btw, in case you didn't know. I'm flying off to BANGKOK tmr ! YAYYYYYY!! Anyways, let's get back to the what's important ! I'm sure every girl (*some guys!) definitely have their own skin care product that they are using. But how do we know whether that particular skin care product is suitable for our skin? I guess most people struggle with this question when it comes to choosing their skin care product. Especially for people with sensitive skin. It doesn't mean that the product is expensive it works for you.. It really all depends on what kind of skin you have. My Skin is Combination>> Oily. So i would often choose product for oily skin. So COSMODERM have selected a few skin care product for me to use. I'm really not kidding the product really helped me through my break out moments that everyone will have once in awhile ! 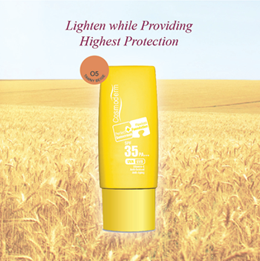 The range that COSMODERM have selected for me was Tea Tree Oil Range with their Sunblock. & COSMODERM wants to spread the love to my readers as well.. So they gave me so many samples to give away.. So these are the products that I'm gonna GIVEAWAY to 2 lucky readers..
Read to the end of this post and see how you can be that lucky people *wink ! So I'm just gonna roughly explain why you should choose COSMODERM ♥! This range is prefect for people with acne prone skin or normal>oily skin (*like mine).. The Tea Tree Oil Cleanser is a gentle cream form cleanser that is able to clean your skin deeply and still able to maintain your skin natural moisture. Every time when i feel that my skin is oily, i will wash my face with this cleanser. The Tea Tree Oil Clarifying Toning Lotion is a oil free toner prefect for oily skin ! It helps soothe & calm sensitive, irritated or inflamed skin. The Tea Tree Oil Day/ Night Moisturiser is the 3rd step ! 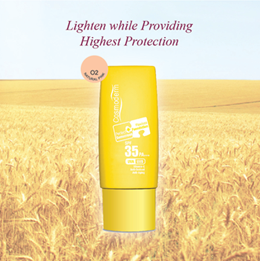 Because of the anti-aging active ingredient inside this moisturiser, it helps to prevent premature aging. It also promotes biosynthesis of collagen & provides moisturising action to the skin ! It also contain SPF 15, therefore protecting your skin from harmful sun's rays. & i personally think that , the texture of this moisturiser is really very suitable for oily skin. Cause once I applied it on my face, it absorbs really fast & there is no oily after feel. The Tea Tree Oil Anti-Blemish Express is the prefect product for people who want to have a quick fix from those annoying break out moments ! The Tea Tree Oil ingredients inside this product is a natural antiseptic, antif-fungal, anti bacteria & anti inflammatory properties. It helps to unclog pores, control oil & stop recurring pimples.. If you use it continuously and consistently , in 3-4 days you will see lessen of pimples, white & black heads. But now i try my best to always apply sunblock every time i step out of my house. COSMODERM's Prefect Sunscreen is really good and prefect for all skin type ! It helps to reduce the appearance of fine lines, neutralize free radicals, increase skin elasticity, lighten pigmentation, even out skin tone, lightens scar.. It comes in 5 different color, to suit your skin tone ! 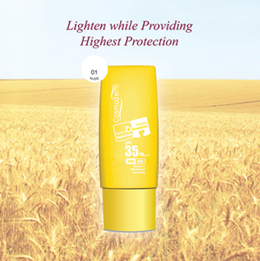 COSMODERM is having 15% off on all Prefect Sunscreen only when you purchase it at their website : MyCosmoderm or their facebook page! Getting back to the GIVEAWAYs.. hahaha! For those readers who are interested, unfortunately only 2 lucky readers will be winning these few items..
- & a few of the cute little testers ! Step 1 : Go to Cosmoderm's facebook page, & like their page! Step 2 : Share My blog post on Cosmoderm's Facebook wall & Describe how much you LOVE Cosmoderm !! Winners will be announce on the 20th September. WHY ARE YOU STILL WAITING ?! Quickly hurry over to their facebook page now ! That's all for now. :) Haha..
next time around will blog about the massive shopping at bangkok! haha *can't wait !! XOXO ! don't miss me too much.. hehhe !